Components were milled on Tuesday October 13, picked up on Wednesday, released from the plywood sheet and sanded on Thursday and Friday, and stained on Saturday. First assembly happened at the festival site Sunday morning. None of this would have happened without the help of my team: Acacia Alder, Gayle McGuire-Solexx distributor, Gary Sullivan, Gary French of CNCRoutingAZ, Javier Lopez, Kristen Bury and students from Drachman Montessori school. As usual, people were curious about the Aluminet sunscreen. 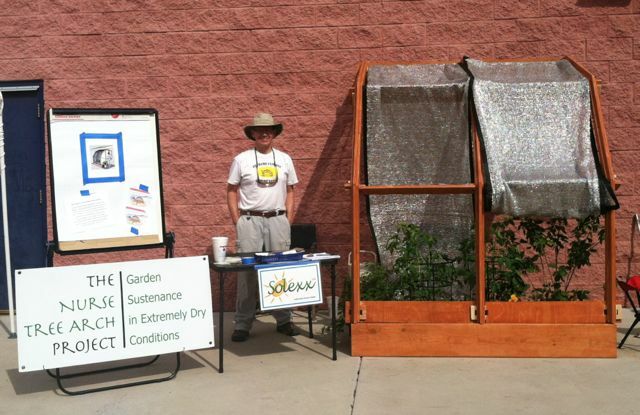 Festival organizer’s placed our booth against a west-facing wall outside. Air temperatures were in the high 80’s. 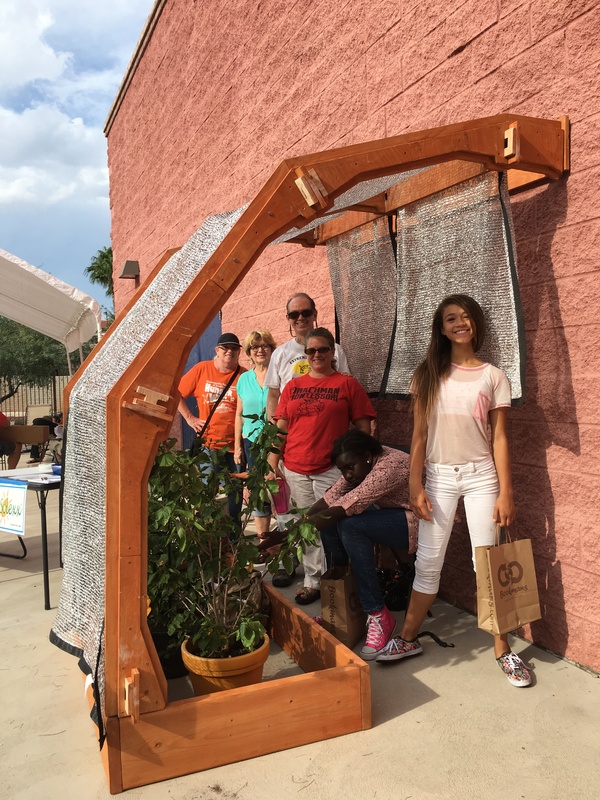 It was the perfect place to demonstrate the cooling effect of this innovative aluminized polymer sunshade material. We got new names on our mailing list, and may have a qualified buyer for an Entry Arch. Also a high point: teaching the students how to use the battery-powered drill as we disassembled the arch. 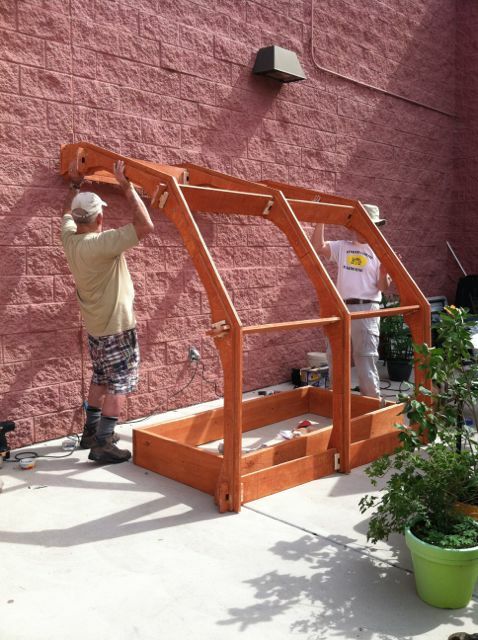 Gary Sullivan and Michael lift the arch frame into place above the base bed. This is the current state of our display. Our crowdfunding campaign will help upgrade display materials.